Each of these sedans are fast-moving, cutting-edge driving machines that simply command attention on the road. If this sounds like your cup of tea, keep reading to learn more about performance, technology, and style in the 2018 BMW 5 Series vs Audi A6. And contact us at BMW of Westchester, too! Right off the bat, the 2018 BMW 5 Series lets you pick between two incredibly powerful powertrains. Standard Fare: On the 530i Sedan and the 530i xDrive Sedan, you can go with the 4-cylinder wunderkind that produces up to 248 horsepower and 258 lb-ft of torque. That’s a winner. Hybrid Power: Or, if you opt for the 530e iPerformance or the 530e xDrive iPerformance, a potent tandem of the 2.0L TwinPower Turbo Inline Engine and the high-voltage-lithium-ion- powered battery will propel your vehicle. This is power and efficiency at their finest, folks. On the other hand, although the 2018 Audi A6 does offer a few different powertrains, as well, they certainly don’t have a hybrid option that can keep up with the BMW 530e iPerformance or the BMW 530e xDrive iPerformance. And, today, in the 21st century, fuel efficiency matters more than ever. Moving on to technology…the bottom line is that driving the BMW 5 Series is more like piloting a state-of-the-art wundercar. Check out some of the cool features and systems that you’ll have at your disposal. iDrive 6.0: This year’s system comes with natural language understanding…just speak normally! Wireless Charging and WiFi Hotspot: Now, you don’t have to drain your battery while you’re on the road. Furthermore, none of your friends will need to spend an instant without connectivity. Gesture Control: You’ve heard of hands-free…you’ve heard of voice-activated…but have you ever heard of touch-free? Welcome to the exciting new world of the 2018 BMW 5 Series, ok? Luckily for you, the 2018 Audi A6 was engineered with technology in mind, too. 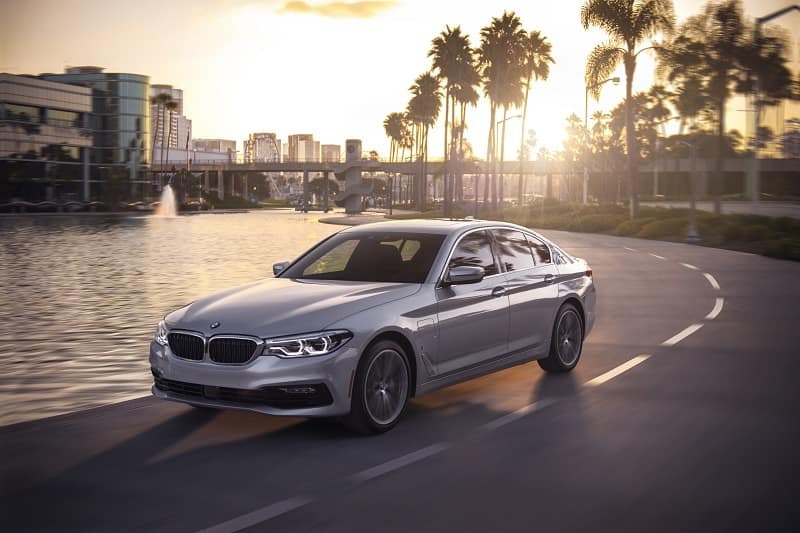 While it may fail in other areas, it can measure up to the 2018 BMW 5 Series when it comes to convenience and connectivity. Last, but certainly not least, there’s the question of style. It’s no secret that you want to look good while you’re out there on the road…especially when you’re cruising around Westchester County, Yonkers and Hartsdale, NY. We’ll start by covering two of the available Body Style Packages for the 2018 5 Series. Sport. Between black high-gloss bumper design components and its generally sleek contours, the Sport Style package takes it the next level. Get ready for all your admirers’ heads to turns and jaws to drop. Luxury. Or, if you demand even more, there’s the Luxury Style package. With super high-gloss chrome accents interspersed throughout the frame, as well as light alloy wheels and modified bumper inserts, you’re in charge. And, as a driver of the sumptuous 2018 BMW 5 Series, that’s probably how you like it. Unfortunately, while the 2018 Audi A6 is a beautiful car, it can’t quite keep up with the 2018 BMW 5 Series. Here at BMW of Westchester, we think that the BMW’s two style packages are unparalleled. Get in touch with us at BMW of Westchester – your 5 Series awaits! The 2018 BMW 5 Series obviously eclipses the 2018 Audi A6 – hands down. So, if you’re the type of driver who won’t settle for any less than the best, contact us right now. Just call us, connect with us on social media, or fill out the form below to schedule a test drive today!